The freshest way to acquire fish is without a doubt, straight off the boat. Surgener Fisheries spent the holidays out 100 miles off the coast of San Francisco searching for the illusive Pacific swordfish. We had a great new years with a boat load full of fish. We now are offering the general public a chance to enjoy this New Years with a slab of swordfish, opah, mako shark and thresher shark. Based off of availability and first come first serve. 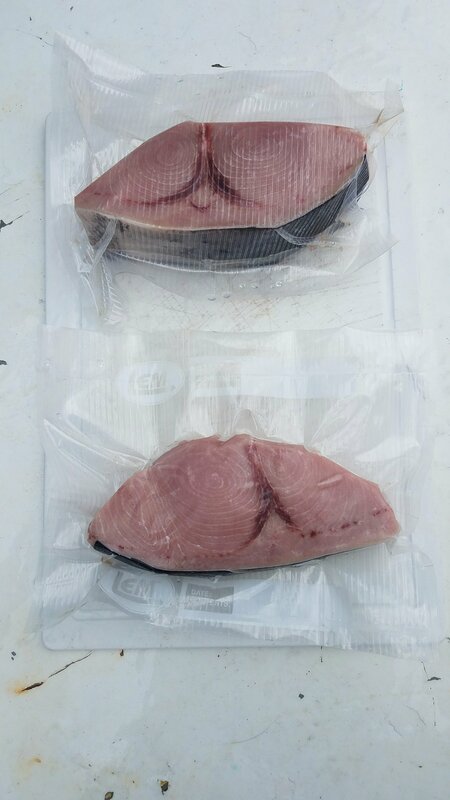 Our swordfish fillets are individually cryo-vacuum sealed. Please bare with us as we develop our new website and ordering platform. Please feel free to contact us if you are interested in tasting some of this exotic fish.